Supreme Court of India Today agreed to hear a batch of Petitions relating to Vyapam Deaths on July 9. Senior Advocate Vivek Tankha mentioned it before the Chief Justice of India HL Dattu and he agreed to hear all petitions including a plea seeking removal of Madhya Pradesh Governor Ram Naresh Yadav on July 9. "All cases related to Vyapam will be heard on July 9. There are four petitions related to Vyapam in the apex court. The Supreme Court needs to intervene for the trail of deaths to stop. "said Advocate Tankha who appeared for Congress leader Digvijay Singh. "We have filed a petition with the Supreme Court as the High Court of Madhya Pradesh has already taken a cognizance of this matter and the SIT of the Madhya Pradesh government is taking care of the Vyapam probe. But after all the initiatives of the Madhya Pradesh High Court, 45 deaths have already been occurred. So we requested the SC to take a cognizance in view emergency of matter," he told the media in Delhi. 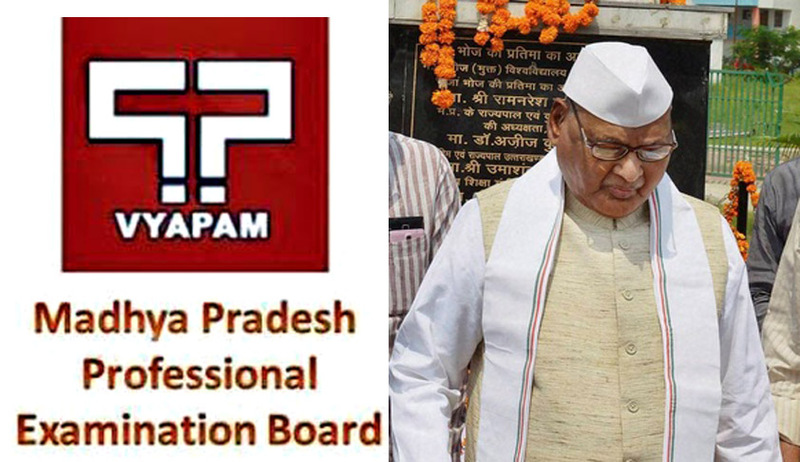 The Vyapam Scam is stated to involve the Madhya Pradesh Professional Examination Board or Vyapam, which conducts the examinations for positions like medical officers, constables, teachers and auditors for government departments. The candidates allegedly bribed government officials to make it to the list of those who cleared the test. Since it came to light, a large number of people associated with the scam have died mysterious deaths, leading to the families of the victims and the opposition suspecting and alleging foul play. A trainee sub inspector, Anamika Kushwaha, reportedly committed suicide at the police training academy on Monday morning. On Saturday, Aaj Tak journalist Akshay Singh suddenly died when he had gone to interview the family of another deceased in the Vyapam Scam in Madhya Pradesh. Meanwhile, Senior advocate Prashant Bhushan on Monday called for an investigating agency from outside Madhya Pradesh to probe the Vyapam scam, noting that several top leaders of the state are said to be involved in the case. "The Vyapam scam is such a scam where is seems like a lot of big people of Madhya Pradesh are involved: either by propagating it or by being its beneficiaries. Because of this, the impression that comes across is that there are full attempts to suppress the case. Which is why, I feel that some agency from outside the state should be investigating this case," Bhushan said. In a related development, the Supreme Court on Monday agreed to hear a petition seeking removal Madhya Pradesh governor Ram Naresh Yadav due to his alleged involvement in the Vyapam scam. Ram Naresh Yadav's son Shailesh Yadav, an accused in the Vyapam scam, was found dead at his father's residence in Lucknow on March 25. A bench of the Apex Court comprising of Chief Justice H L Dattu and Justices Arun Kumar Mishra and Amitava Roy said that it will hear the petition about the Vyapam scam relating to the Madhya Pradesh Professional Examination Board (MPPEB) along with other pleas on the issue on July 9. The petition, filed by a group of lawyers, have sought removal of Yadav and recording of his statement in the case.